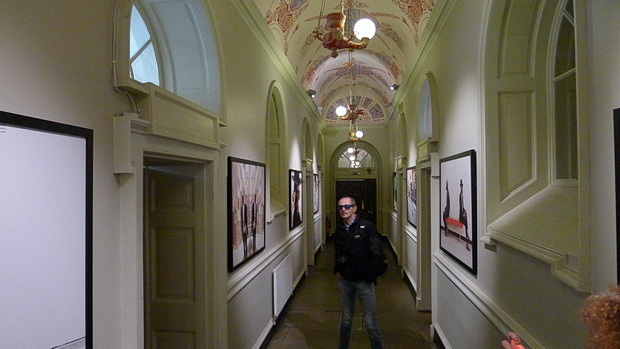 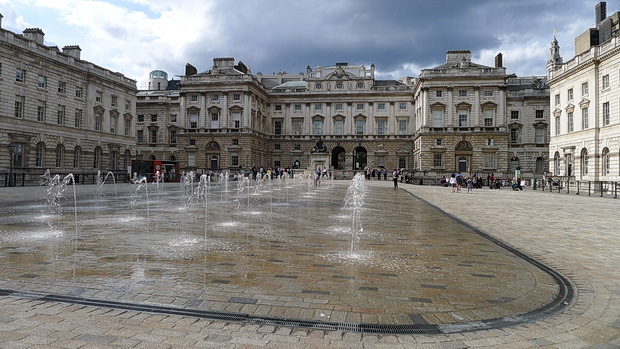 Located between the Strand and the River Thames, the current Somerset House dates back to 1775, with the neo-classical building being centred around a beautiful courtyard. 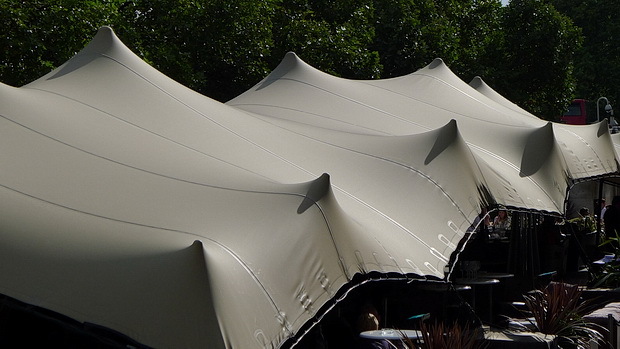 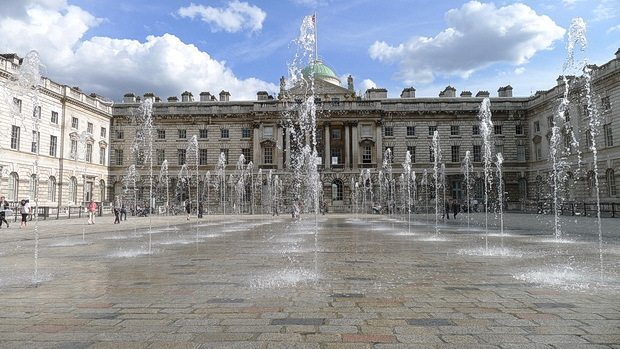 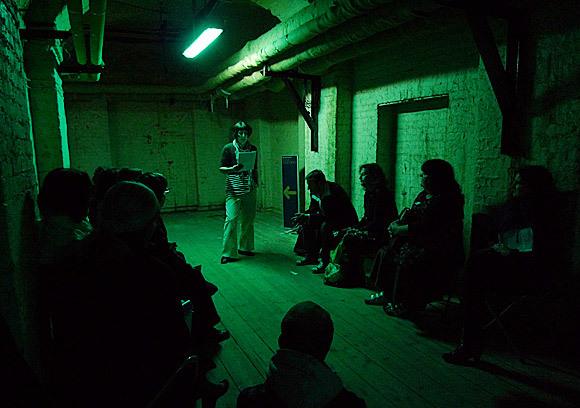 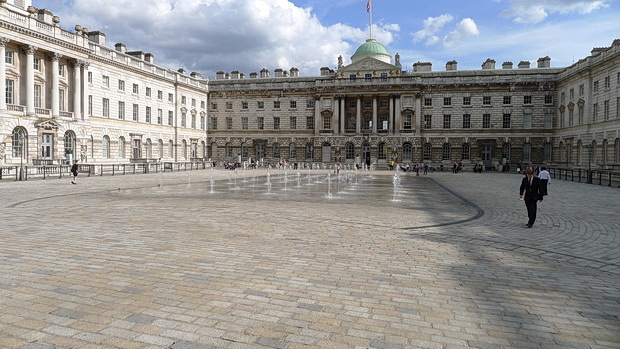 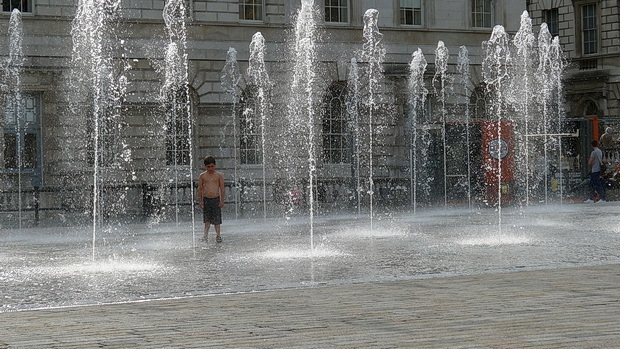 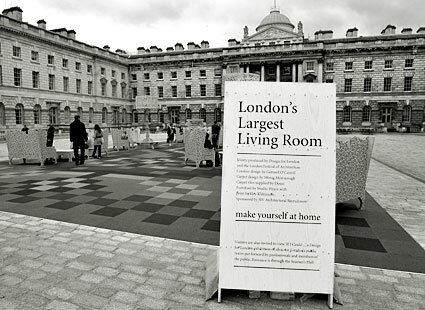 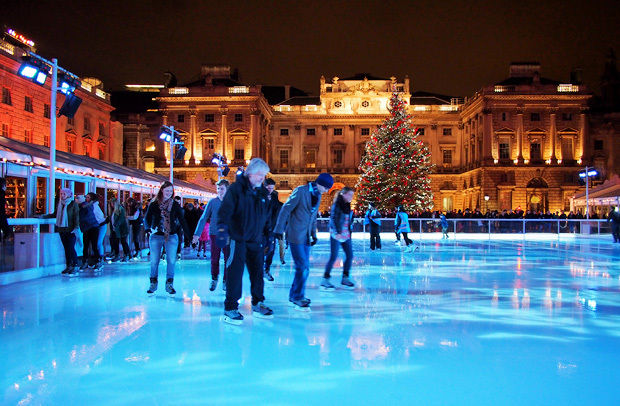 Formerly the home of the Inland Revenue, the Principal Probate Registry and the General Register Office, Somerset House is now an important cultural centre, with the courtyard hosting open-air concerts, ice-rinks, films and contemporary art and design exhibitions, and other events. 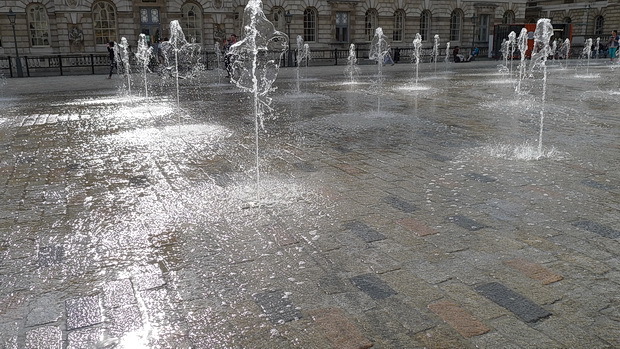 It’s a great place to hang out with a coffee and a sketchbook, with the synchronised fountains adding a lively soundtrack. 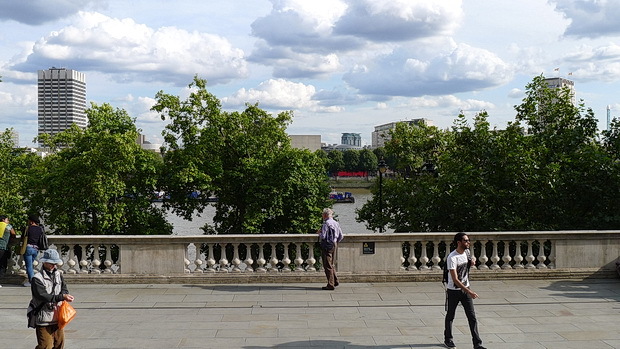 Looking over the Thames from the south wing. 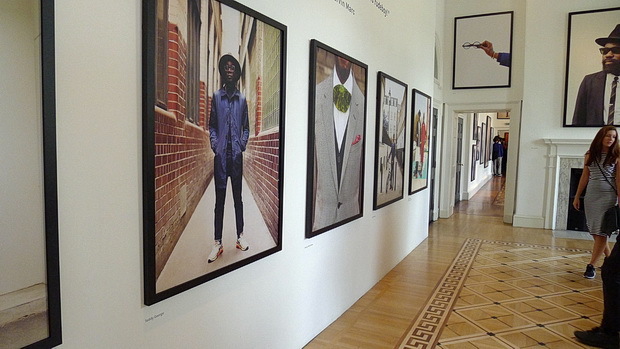 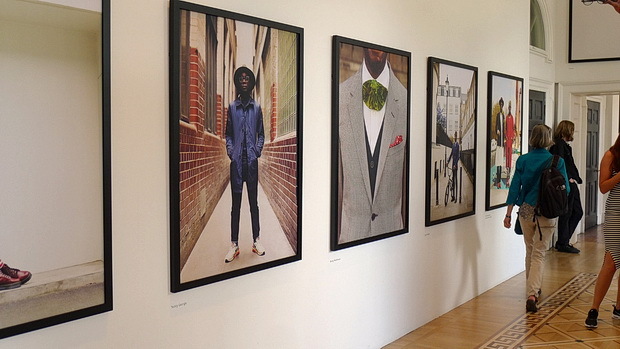 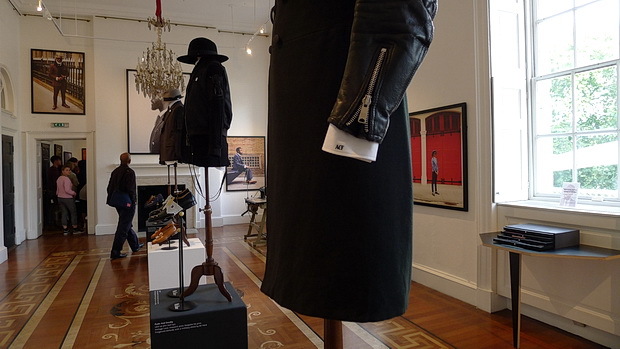 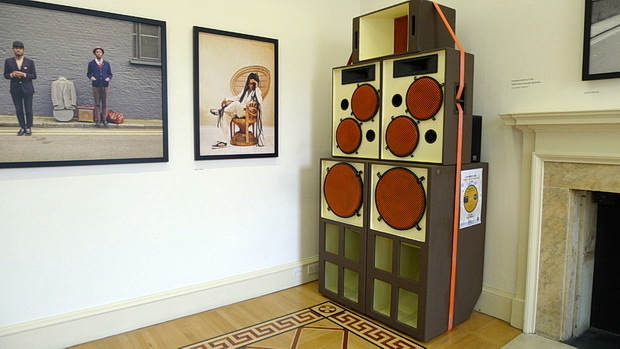 I’d come along to see the Return of the Rudeboy exhibition in the Terrace Rooms (note: this finishes today, 25th Aug – so get there quick!). 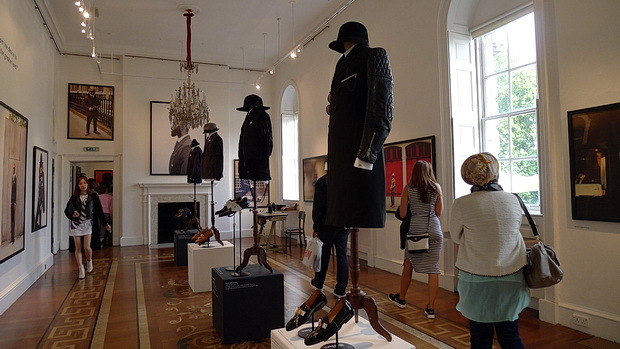 The exhibition was created and curated by photographer and filmmaker Dean Chalkley and fashion-industry creative director Harris Elliot. 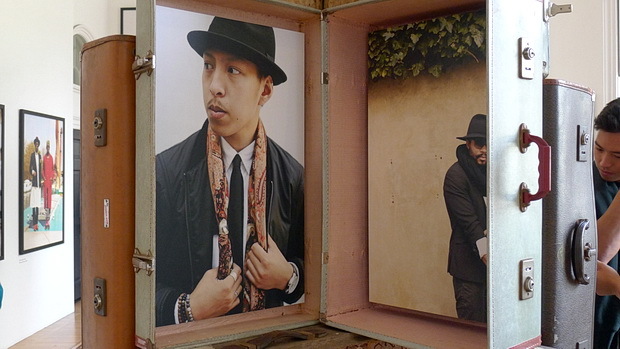 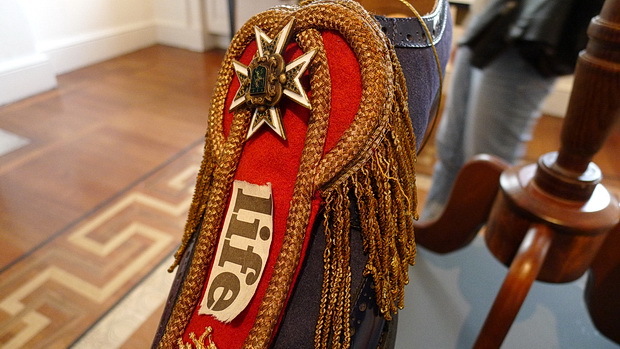 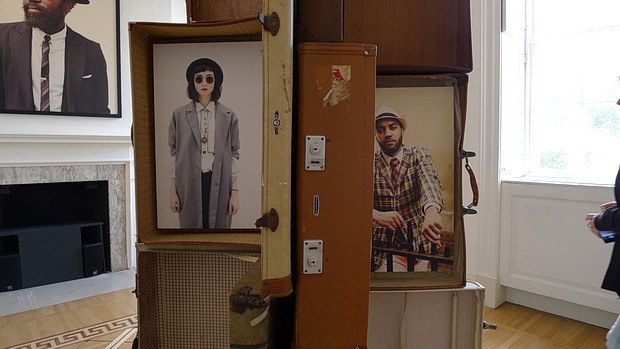 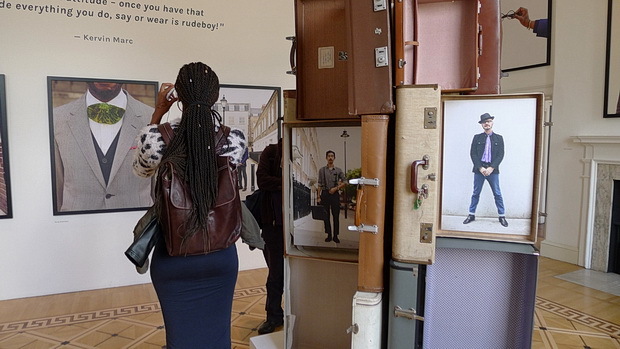 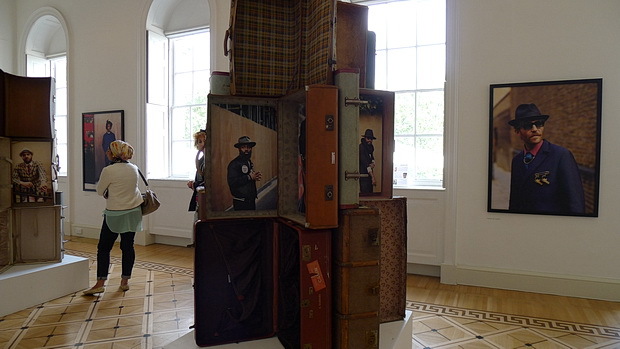 The photographs were imaginatively displayed in vintage-style suitcases. 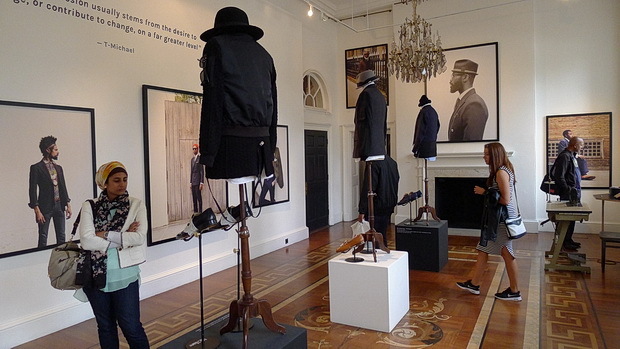 Originating from the streets of Kingston, Jamaica in the late 1950s, Rudeboy or Rudie came to represent the young rebels who wore distinctively sharp sartorial styles such as Mohair suits, thin ties and pork pie hats. 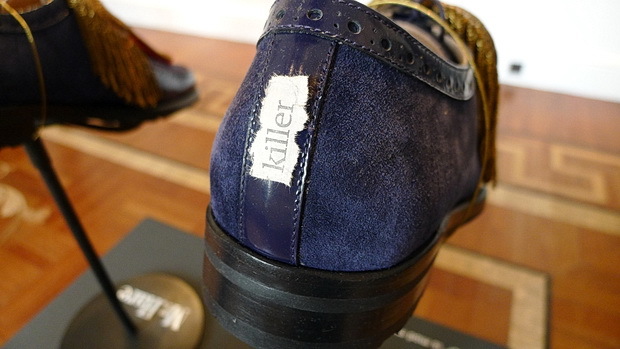 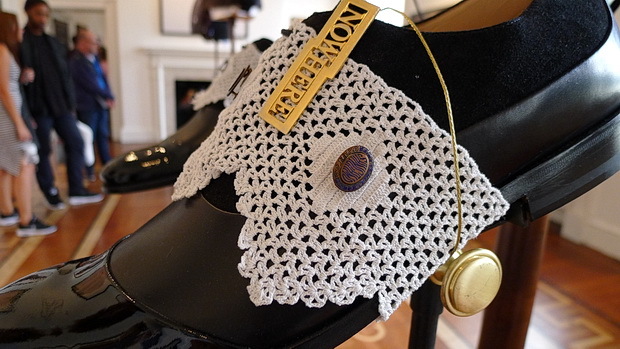 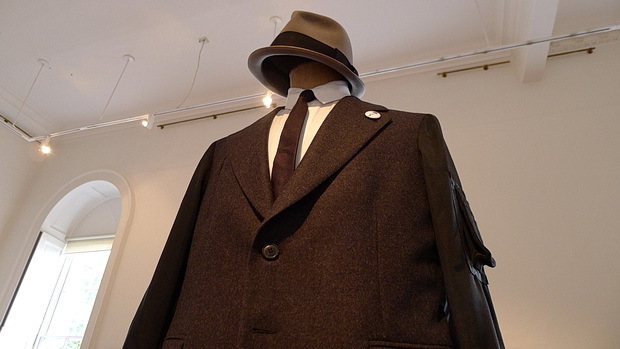 The style was closely connected to the music movements of the time; their initial inspiration derived from American Jazz and R&B musicians as well as some notorious gangsters. 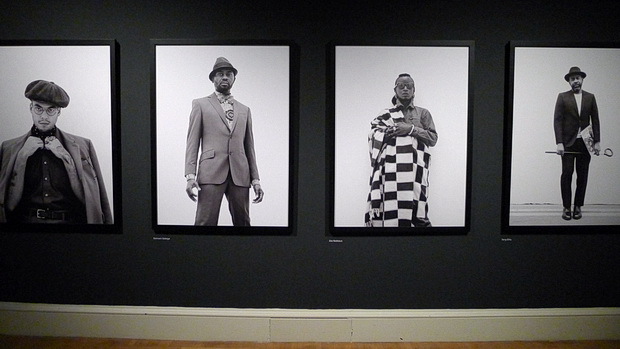 As is prevalent in the Rudeboy culture, the origins were appropriated and then twisted. 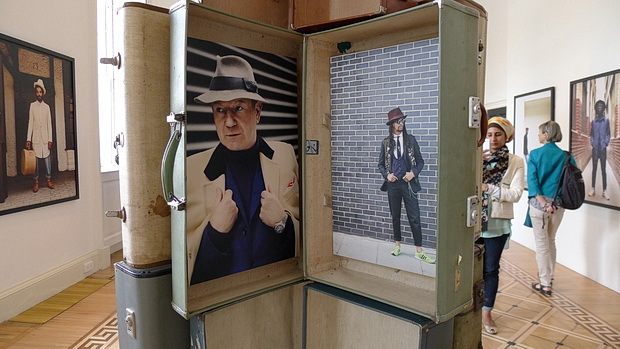 The Rudeboy has travelled through time since then and evolved; in the 1980s, Two-Tone brought it right back into the frame. 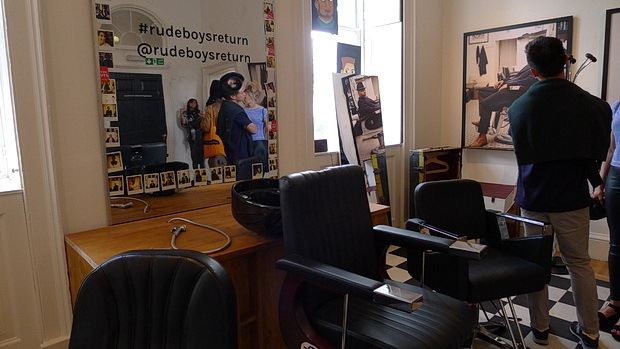 Now today’s young men and women have adopted the swagger and adapted the essence of the original Rudeboy but for a 21st century generation. 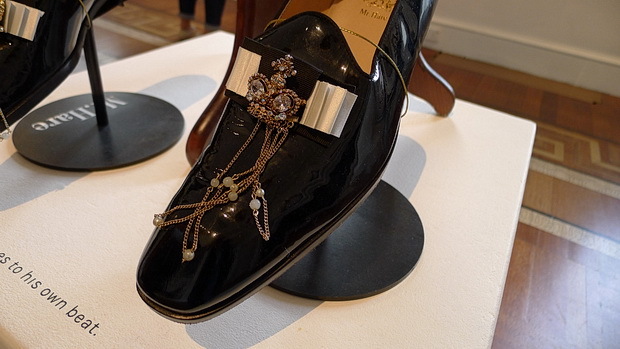 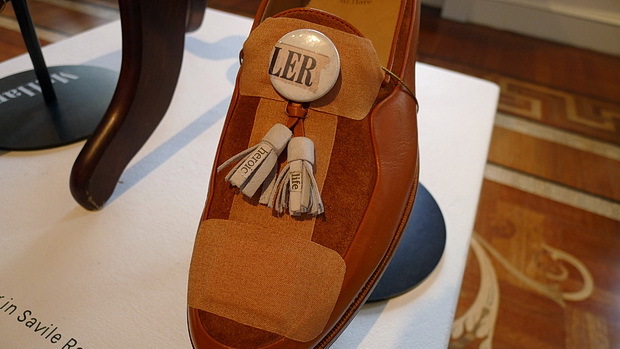 A very natty pair of shoes. 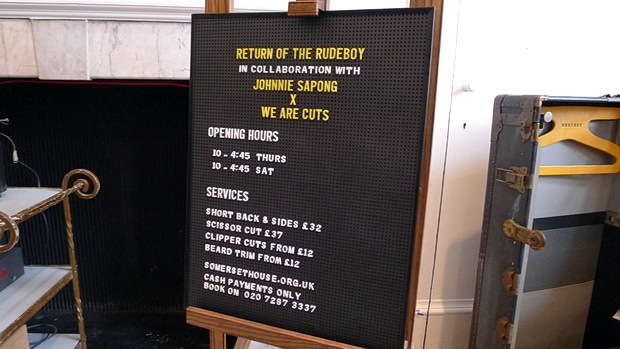 The space hosted a pop-up ‘grooming station’, where visitors could book appointments to get their hair cut or beard trimmed by a top Rudeboy barber. 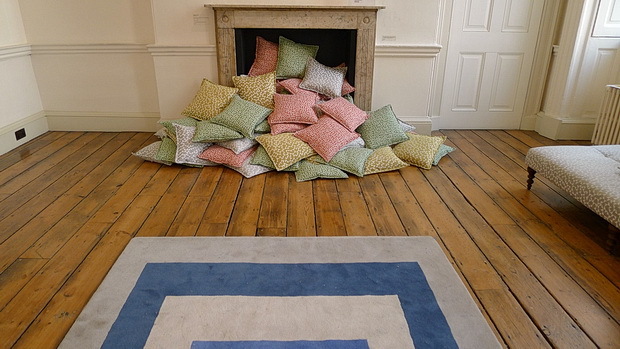 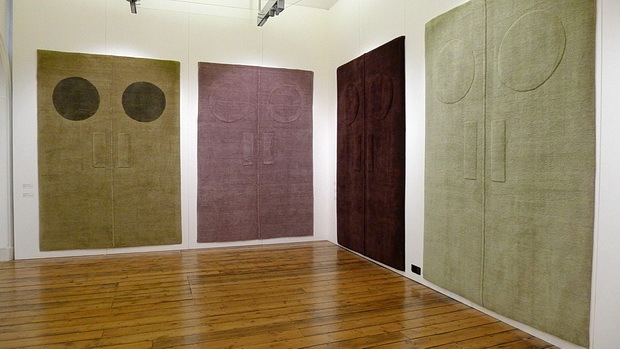 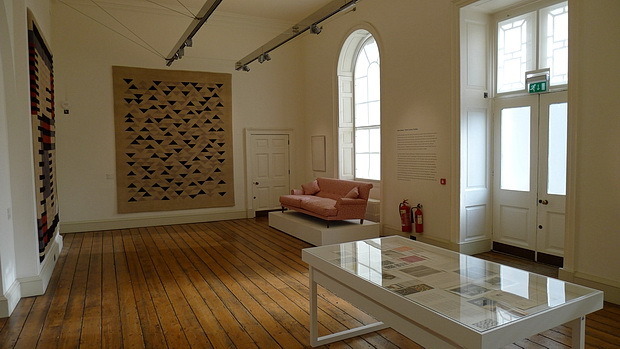 In the east Wing galleries could be seen a collection of 20 hand-crafted rugs, tapestries and fabric installations, the result of a collaboration between contemporary rug and fabric company Christopher Farr and The Josef and Anni Albers Foundation and Gary Hume. 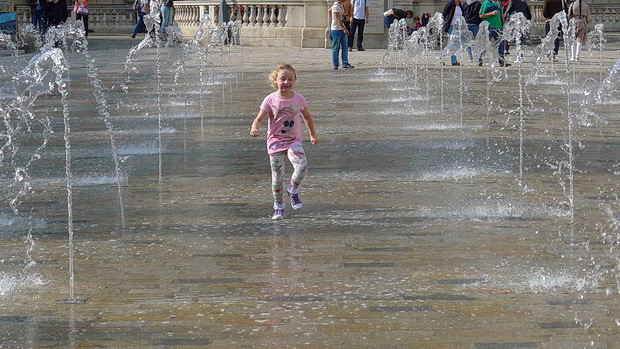 A last look at the fountains as the sun sets. 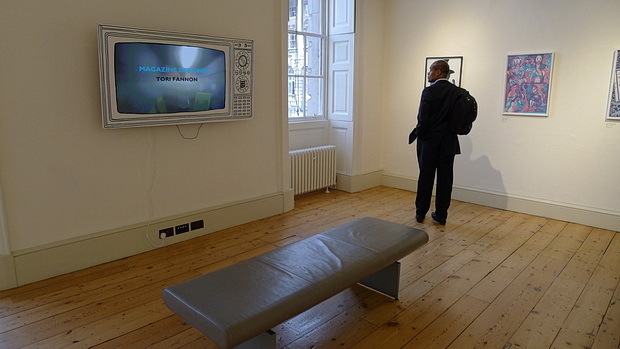 Not meaning to be rude but I have absolutely no interest in anything and everything “modern” or contemporary in London or in New York City. 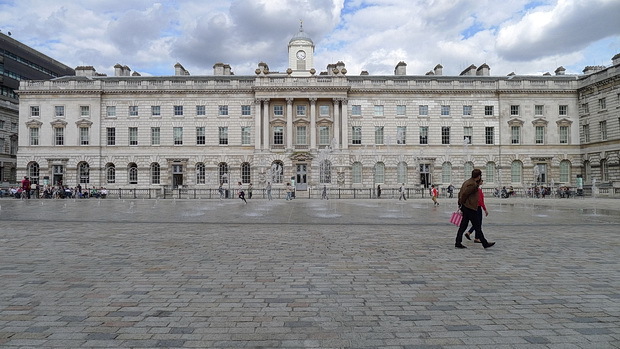 What a curious response, given that this article features fashions based in the 1950s/60s and Somerset House dates back from 1775.